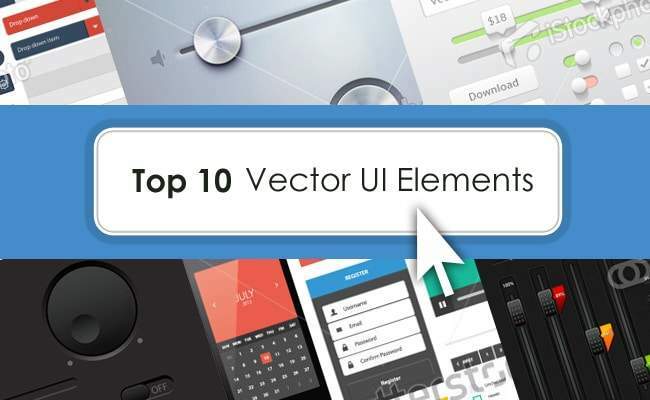 I have been waiting to discuss these Top 10 Vector UI Elements. With the popularity of web applications, mobile and tablet applications, there’s a constant need for high quality user interface elements. Many designers understand these needs and provide high quality Vector UI elements through stock image websites. 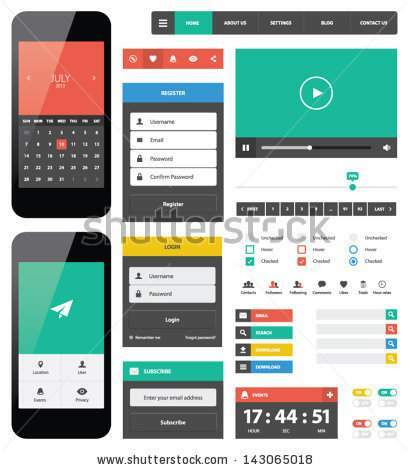 Designers and Developers can directly use these graphics in their websites and applications. In case you haven’t heard of the term UI before, let me explain what it means. 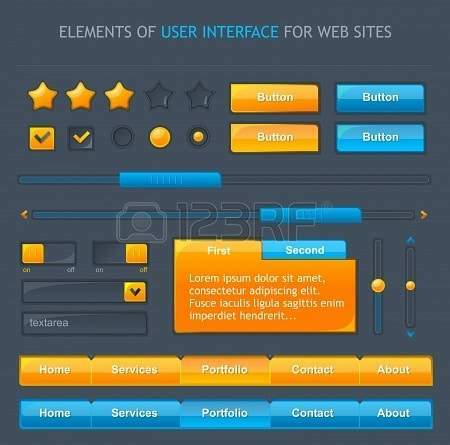 UI Elements or User Interface elements are graphic elements with the help of which, the user interacts with a system. 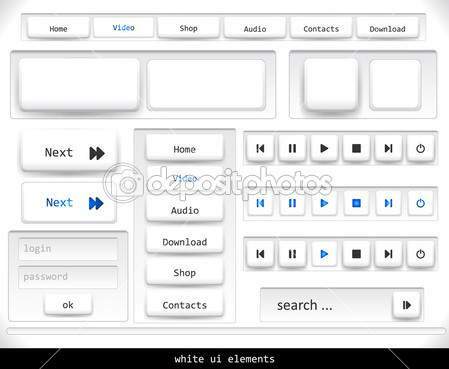 These may include but are not limited to buttons, sliders, user input fields, drop downs and navigation menus. Good User Interfaces suggest how the user could interact with the applications or websites, but great ones make this interaction more intuitive. A web or an application designer may have specific graphic designing needs depending on the user interface to be designed. User Interfaces may be as simple as form fields with radio buttons for selecting options or could be an application that plays video and audio from a playlist. Besides, these interfaces may be built differently for different output devices such as desktops, tablets and mobile phones. So the UI elements need to be modified to suit the overall requirements that the website or applications need. Vector UI Elements offer design flexibility where you can edit the graphics to match your exact design requirement. You can resize the images, change their color or even alter the shape as you like. Rasters images do not offer such flexibility and you may even see a drop in the quality of the graphic if you modify it extensively. You may learn more about the differences in Raster and Vector from this earlier post. Now that we’ve understood the use and importance of Vector UI Elements let us take a look at some really awesome Vector UI Elements. Top 10 Vector UI Elements. 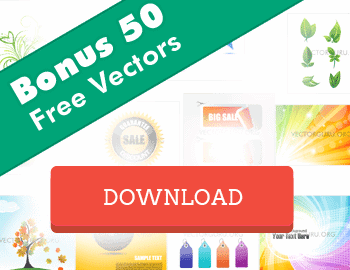 An awesome list of top 10 Vector UI Elements from top stock image websites. Shutterstock is popular for its high quality Vectors and Images. This Vector UI Elements set has been inspired by the flat modern design which has been implemented by Microsoft Corp in Windows 8. This was earlier termed as Metro style and still bears this name in several theme websites. If you want to create a design with this theme for mobile applications or websites, this UI Elements set is a must have. 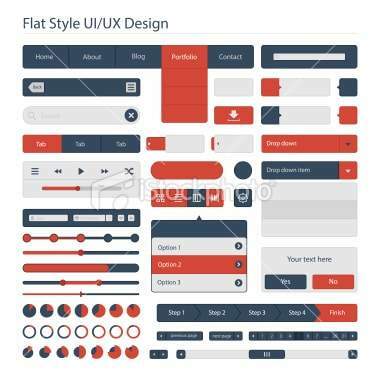 This gorgeous Vector UI Elements set is offered at iStockphoto, a leading Image and Vector Stock website. The tooltips seem to hover above the plane giving a nice 3D effect. The radio buttons, the play buttons and the toggle switch too have a slight 3d effect which gives the entire UI a very realistic look. The subtle shadows and gradients make the UI look pristine. Can’t have enough of the flat design style. 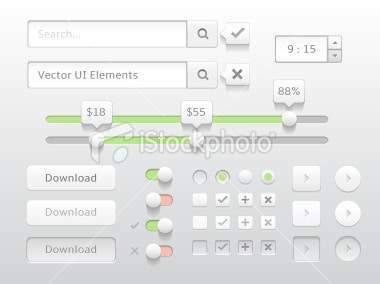 This Vector User Interface offered at iStockphoto is another great Vector UI set created using the flat UI style which is currently the rage in UI design. This trend has been a lifesaver after designers started going overboard with the gloss and gradient designs. Just two colors strong colors along with gray has been used in creating this wonderful set. Moreover this set can be used in desktops, tables and mobile interfaces alike. This metallic UI set with a subtle lens flare hardly looks Vector but it is. The shiny steel buttons over a matt metallic plate would make a great graphic set for a robust music player. Since this is Vector you may alter it and use it for other purposes as well. You can be sure of the quality of the graphic as Deposit photos is renowned for superior quality Vector and Images. 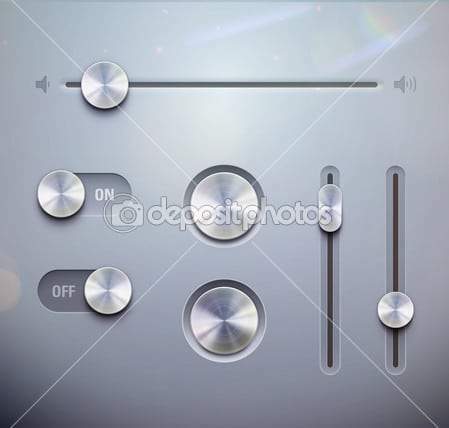 Another awesome UI Element set in Vector from Depositphotos. The shadows have been implemented very carefully to preserve the clean and uncluttered look of the design. There are two different states offered for all elements here- the normal and the selected state. The selected state has a lovely radial gradient that makes the entire set seem more real. If you’re on the lookout for a dark theme UI design, this Vector UI Element set from Fotolia is just for you. This clean dark Web Vector UI Elements has all controls needed for a sophisticated audio player. All elements including the background have a black matt finish. You would certainly love this if you’re tired of seeing glossy controls all over the web. 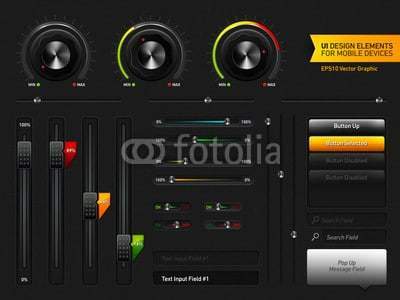 Fotolia has another black UI Design Elements set to offer. This dark User Interface in Vector is different from the one above. This sublime Interface would be the right one for you if you’re looking for more noticeable elements within the interface. The bright elements in the design make the interface more youthful and lively. There has been a steep rise in the number of websites accessed through tablets. Though the UI Vectors given above may be altered to fit a tablet interface, this stunning UI Vector is completely designed with the tablet device in mind. It has a sleek 3D interface with subtle shadows and gloss applied to a good degree. 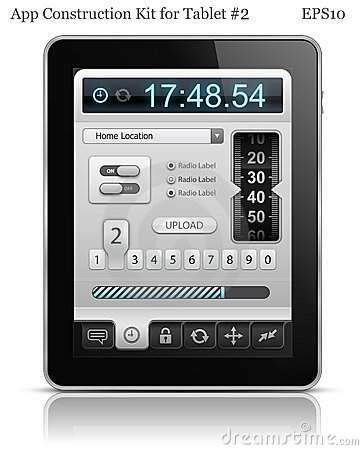 If you’re on the lookout for a Vector UI set for for a tablet interface this Graphic from Dreamstime would snugly fit your need. Our list would certainly be incomplete without a transparent UI Design Vector. This is a wonderful light design with transparent interface buttons with an amazing digital font. Though this UI Element set has been created for a weather widget, you may still alter it to suit your design requirement. Another stunning Vector elements set with super glossy elements on a dark background. This one has made it to the Top 10 List of Vector UI Elements because it has two interface elements such as the star rating graphic and tabs option which are rarely found in Vector UI sets. Additionally, we needed a glossy one in the list. Well, gloss is not completely dead. This brings us to the end of our list of Top 10 Vector UI Elements. I hope you liked the Interface designs in the list. I would love to know if you have any favorites among these. Keep posted for more in Vector. Enjoy!